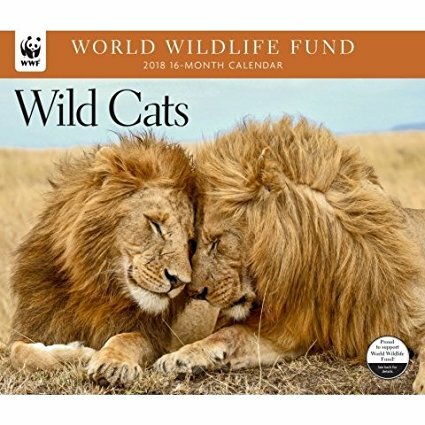 The wild cat calendars for 2019 are beautiful! 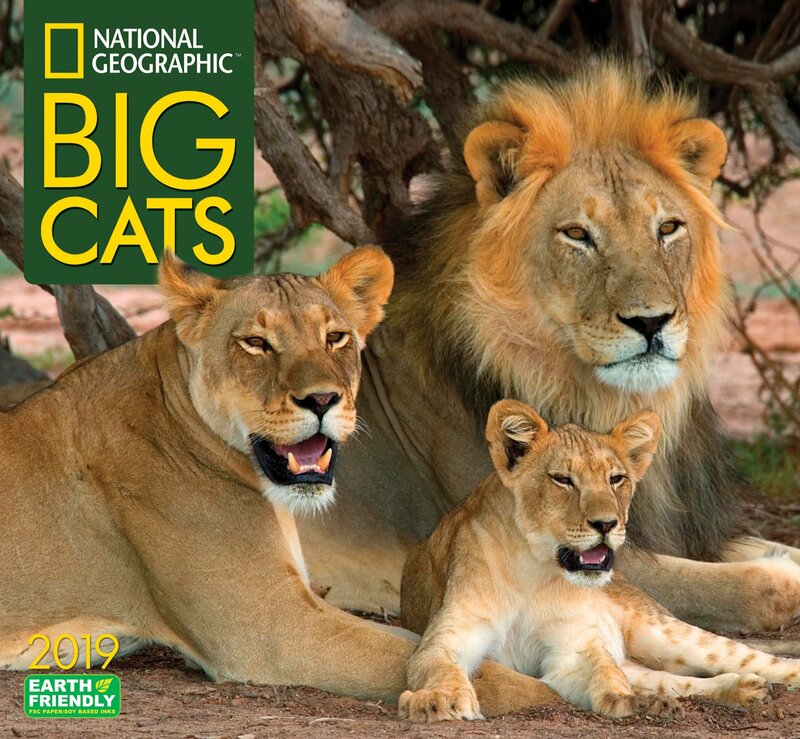 Here are the 2019 big cat calendars from National Geographic and the World Wildlife Fund available from Amazon. By supporting these organizations you will be helping with conservation of these beautiful animals. Click on any of the images for further details. 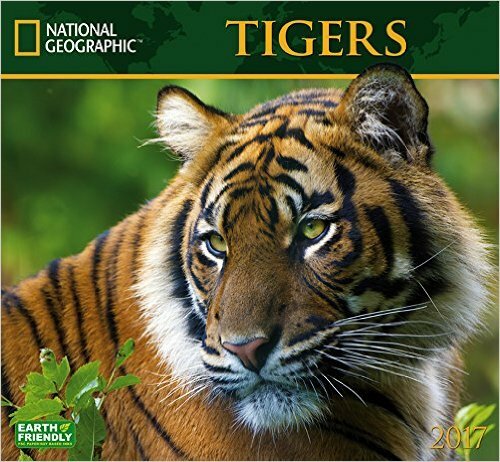 "National Geographic Tigers offers a series of stunning images taken by acclaimed wildlife photographers. National Geographic supports vital work in conservation, research, exploration, and education. 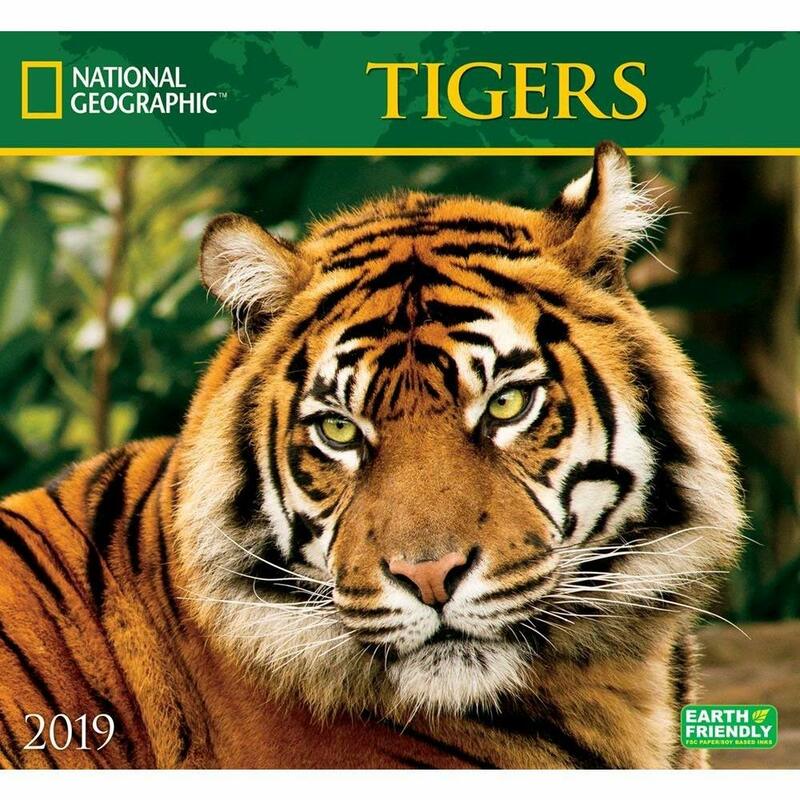 The 2019 Tigers Calendar is earth friendly, printed with soya-based inks on FSC certified paper. A perfect gift for any nature lover." "The Big Cats Initiative, founded by the National Geographic Society, is taking action to assure big cats in the wild are not gone forever. Partnering with some of the worlds leading big cat experts, the initiative funds on-the-ground research and innovative conservation projects to protect our planets top felines and leads a global public awareness campaign to shine light on the issue. This 12-month 2019 Big Cats Calendar is earth friendly and printed with soya-based inks on FSC (Forest Stewardship Council) certified paper." "Lion, tiger, panther, bobcat, ocelot, snow leopard and jaguar are just some of the wild cats included in this handsome 2019 Wild Cats Wall Calendar. 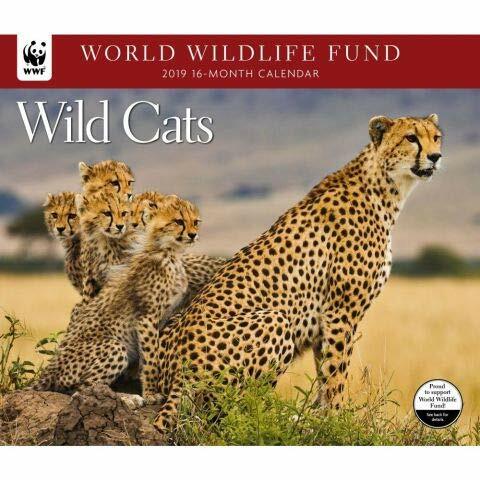 In the US and Canada, WWF receives 50 cents for each WWF calendar purchased." The World Wildlife Fund WWF is a global conservation organization that focuses on priority species at an international level. Their goal is that "By 2020, populations of the most ecologically, economically and culturally important species are restored and thriving in the wild.". Their big cat conservation programs include - WWF - Snow Leopard, WWF - Tiger Conservation, WWF - Amur Leopard and WWF - Clouded Leopard. "WWF, in presenting this important 2019 Tigers Wall Calendar, hopes to keep this magnificent cat at the forefront of conservation efforts. Only six of the original nine subspecies of tigers still exist, all of them endangered. 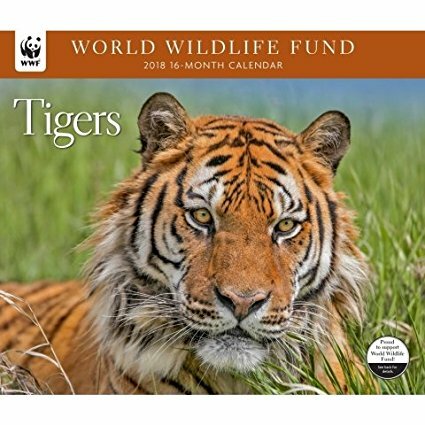 In the US and Canada, WWF receives 50 cents for each WWF calendar purchased." WWF TX2 - Tigers x 2 is the World Wildlife Fund's ambitious project to double wild tiger numbers by 2022 which is the next Chinese Year of the Tiger. "Doubling wild tigers is possible with full commitment from the 13 tiger range countries. World tiger population is now estimated to be around 3900 according to best available data. For the first time in about a century, we have halted the global decline in wild tiger numbers." 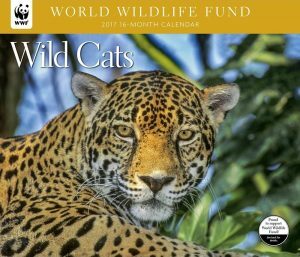 The wild cat calendars for 2018 are stunning! 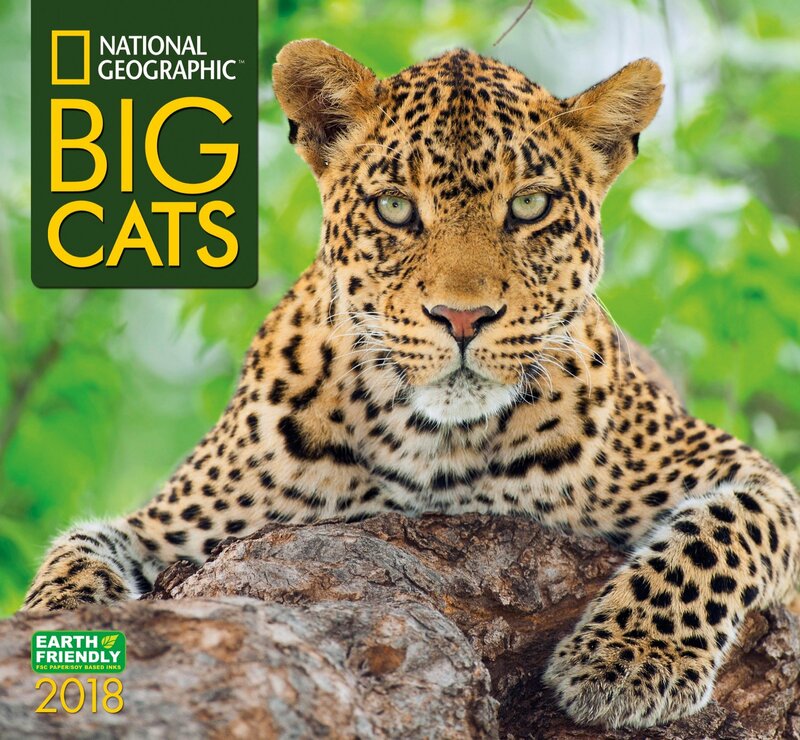 Here are the big cat calendars from National Geographic and the World Wildlife Fund available from Amazon. Click on any of the images for further details. "National Geographic supports vital work in conservation, research, exploration, and education. 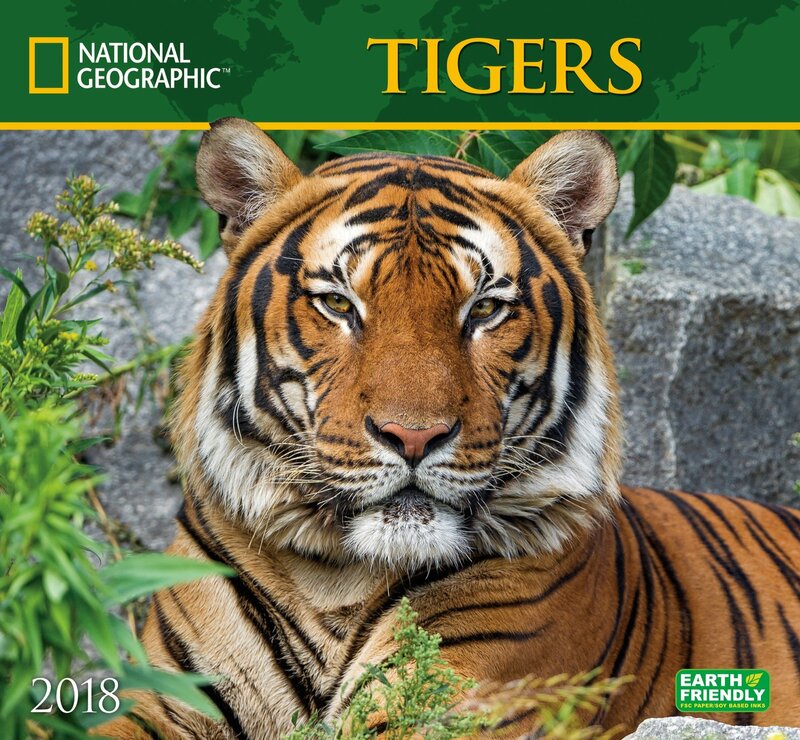 The 2018 Tigers Calendar is earth friendly, printed with soya-based inks on FSC certified paper. A perfect gift for any nature lover." FSC is the Forest Stewardship Council which certifies that the paper comes from a forest and supply chain that is managed in a environmentally, economically and socially responsibly way. "The National Geographic Society has launched the Big Cats Initiative; a long-term commitment to stop poaching, save habitats, and sound the call for global action to save big cats in the wild. This 12-month 2018 Big Cats Calendar is earth friendly and printed with soya-based inks on FSC (Forest Stewardship Council) certified paper." "Lion, tiger, panther, bobcat, ocelot, snow leopard and jaguar are just some of the wild cats included in this handsome 2018 Wild Cats Wall Calendar. 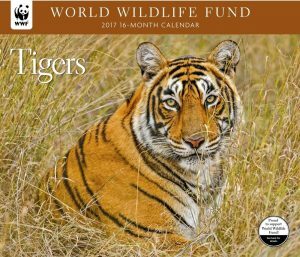 In the US and Canada, WWF receives 50 cents for each WWF calendar purchased." "WWF, in presenting this important 2018 Tigers Wall Calendar, hopes to keep this magnificent cat at the forefront of conservation efforts. 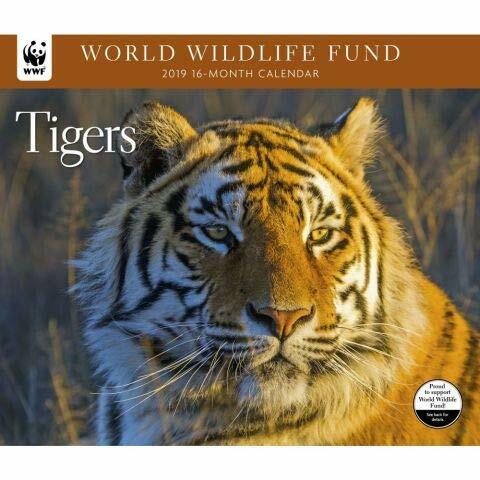 In the US and Canada, WWF receives 50 cents for each WWF calendar purchased." The wild cat calendars for 2017 are spectacular! 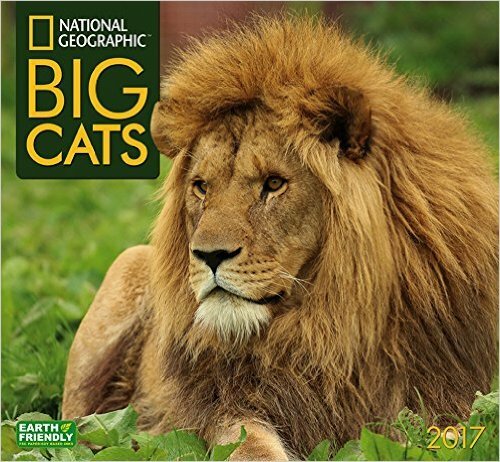 Here are the big cat calendars from National Geographic and World Wildlife Fund available from Amazon. Click on any of the images for further details.